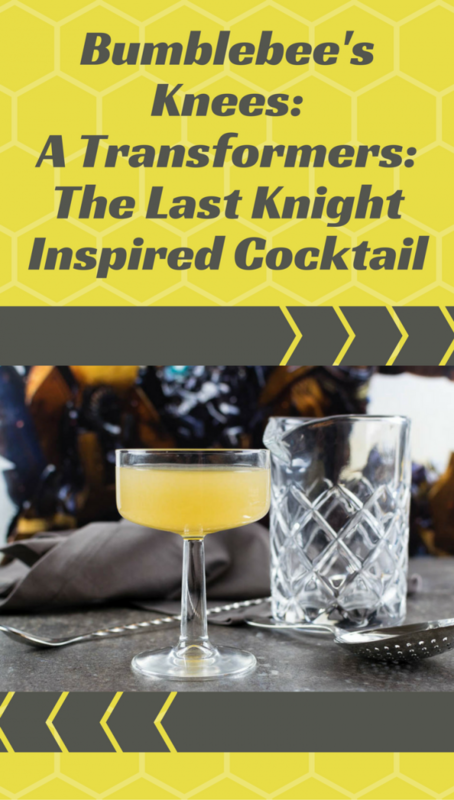 Our exploration and movie themed recipe creation continues with yet another summer blockbuster, Transformers: The Last Knight. Full disclosure here, we haven’t been as crazy about the past few Transformers movies. However, Transformers: The Last Knight feels very different. 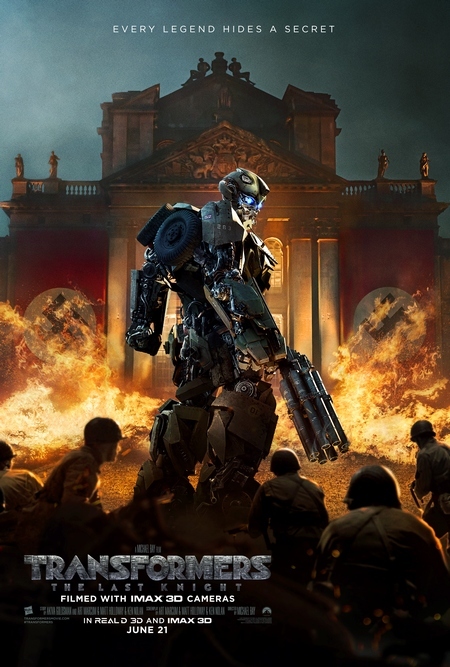 The fifth movie in the Transformer series appears to have made some changes including bringing Bumblebee more to the forefront of the film. This change is one of the inspirations for our Bumblebee’s Knees Cocktail. 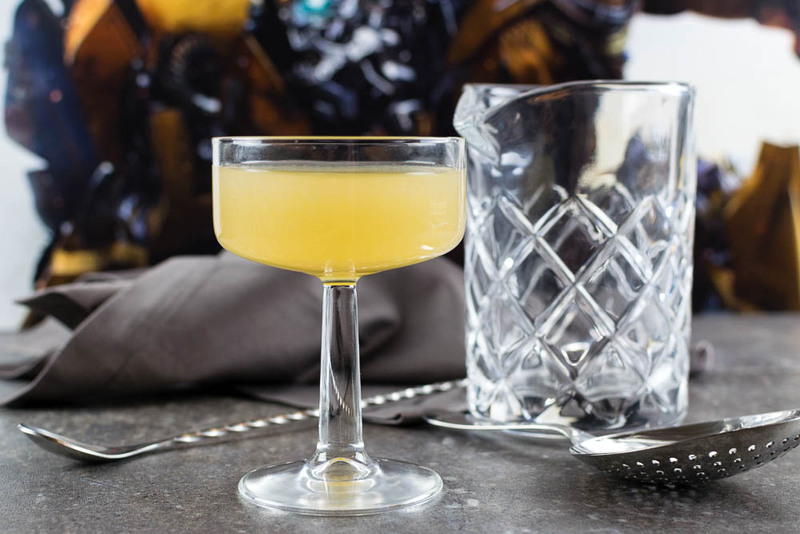 The Bumblebee’s Knees takes its inspiration fro the classic cocktail The Bee’s Knees. 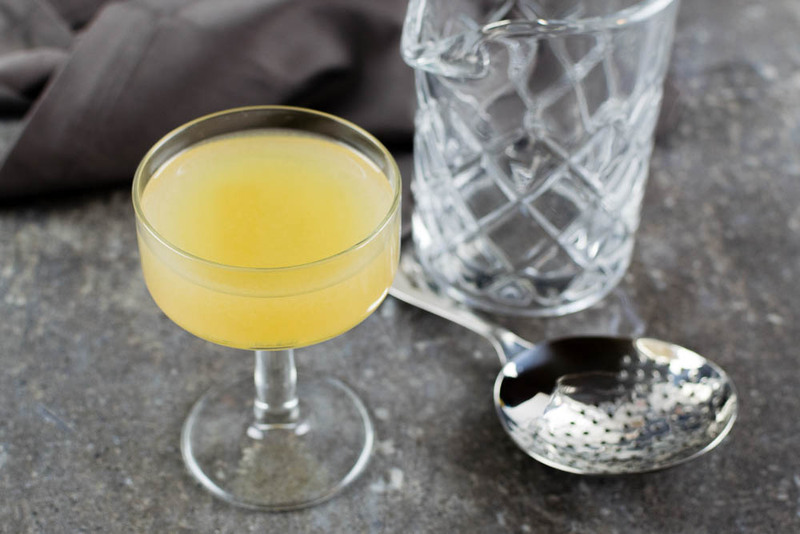 Like The Bee’s Knees, it contains gin, honey, and lemon juice. What sets it apart is the use of Chartreuse. Chartreuse is “a French liqueur made by the Carthusian Monks since 1737 according to the instructions set out in a manuscript given to them by François Annibal d’Estrées in 1605. It is composed of distilled alcohol aged with 130 herbs, plants and flowers.” We chose it due to its color and the fact that we thought it would pair well with the gin. In addition to our The Bumblebee’s Knees recipe, we are giving away 4 pairs of screening tickets for a 3D sneak preview of Transformers: The Last Knight. Two winners will also receive a Transformers: The Last Night Prize Pack! The screening will be on Monday, June 19th at 7 pm at Harkins Tempe Marketplace. Winners should arrive at 6:30 in order to guarantee their seating. Winners will be selected on Saturday, June 17th. Good luck!